PPL has decades of experience providing digital display screens and signage for top clients and sporting events such as The Open. Digital screens for large spectaculars, sports venues, retail, rental & staging, conference and conventions, we have the expertise. 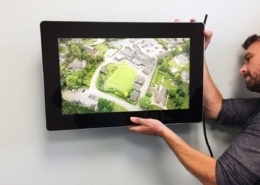 We have LED & LCD screens and digital signage solutions to fit virtually any budget. Give us a call on 0800 999 0003 and we can help you. In today’s busy world screens are an ideal way to engage with your customers. Unlike traditional signage a digital screen provides a flexible and highly customisable display to get your message across. 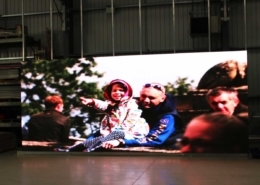 Screens have a wide range of uses; we work closely with a number of industry sectors providing both the technology and the high quality content that is displayed. You may want to promote a sales message, display live video at a sporting event or just need an advertising screen that can be updated instantly, whatever your requirement, speak to us. At PPL Screens we offer creative display solutions that include both LCD and LED screens, so we can choose from the widest range of technology to meet your needs. Whether you need a lot or a little help, our service teams are on hand to help you from the planning stage, installation, training and updating. Digital displays offer stylish and entertaining content where and when you want it. Designed for indoor and outdoor use, there are no limits on where you can put our screens. If you want more information on how a digital display can enhance and promote your message or information, contact the PPL Screens sales team on 0800 999 0003 today. Based in Liverpool we work across Manchester, Leeds and UK wide.